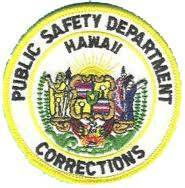 The following contains links to useful information for anyone who has a friend or loved one incarcerated in a prison or jail located in Hawaii. Each link contains the answers to frequently asked questions including the visiting hours, information on how to do an inmate search and send money to an inmate. Users will also be able to get the telephone numbers, physical and mailing address of the institution, and the procedure for sending someone who is incarcerated a book or magazine. At PrisonPro we strive to provide our users with the most accurate and up to date information, but visiting hours often change which is why we ask all our users to contact the facility before visiting to verify the visiting hours have not changed. On the off chance that any of our information is missing or incorrect, please leave us a comment at the bottom of the facilities page so we can correct/update them.